For two consecutive days, on October 20th and 21st 1838, the skilled Life Magazine photographer Charles Peterson accompanied French jazz critic Hughes Panassié, shooting a photo diary. The Charles Peterson biography and the story of his Life photo report can be downloaded in the pdf document below. 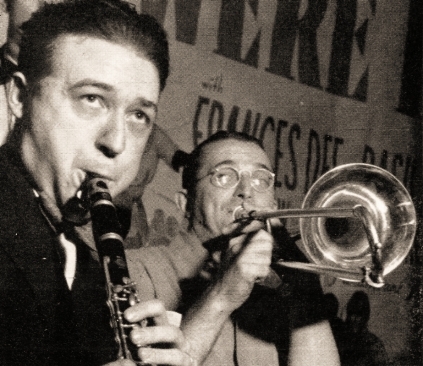 You can also download more of his jazz photos in another pdf document. This Charles Peterson is not to be confused with the rock photographer of the same name born in 1964, known for his work depicting the rise of the Northwest music scene in the late 80s to early 90s.